I thought I had seen the best action-adventure sci-fi film of the summer in Edge of Tomorrow. It’s good, but not as wildly imaginative as Bong Joon-Ho‘s first English-language film, Snowpiercer, which plays like Metropolis on rails with humor and better action sequences. Once again, humanity is on the verge of self-extinction. Global warming is at a tipping point, and to preserve their future, humanity releases a chemical compound into the atmosphere that essentially initiates a new Ice Age. Several thousand surviviors board a long, luxury train divided into distinct classes. The train runs smoothly, so long as everyone keeps in their place. This works for those in the front of the train, but for those relegated to the back, life is tediously meaningless. “Lead” by the aging Gilliam (John Hurt), Curtis (Chris Evans), Tanya (Octavia Spencer), Edgar (Jamie Bell), and Grey (Luke Pasqualino) live in squalor with hundreds of others. They waste away eating gelatinous protein bars until Curtis devises a plan to move to the front of the train and overthrow Wilford (Ed Harris), the train’s creator and engineer. They break Namgoong Minsoo (Song Kang-ho) and his daughter Yona (Ko Ah-sung) out of prison. Namgoong knows how to hot-wire each gate between cars. Standing in between Curtis and the front of the train is Minister Mason (Tilda Swinton) and an army of guards and mercenaries. Along the way, as Curtis learns about the train’s origins and inner workings, we learn about his own dark past. 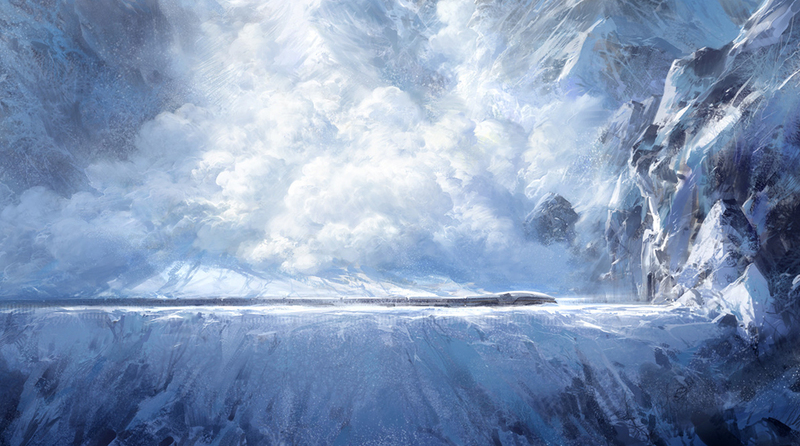 Snowpiercer benefits from an imaginative script, engrossing production design, and compelling performances. While there’s nothing wildly original about the class division/warfare themes underlying Ho’s film, the setting for them is spectacularly fresh. Never has an enclosed space felt so expansive. I found myself wanting the film to run longer so that we could explore every car and their nooks and crannies. I can’t imagine a better visual execution of Ho’s idea. The class divisions of the train and the separate cars with their own “eco-systems” works brilliantly. As effective as the story and visuals are, the performances are the true strength of the film. Swinton is expectedly brilliant as the subservient yet tyrannical Minister Mason, and hers is the rare case where a blockbuster sci-fi film should engender awards conversation for a supporting actress. Not that he’s had much to work with, but this is Evans’ best performance by far. Other actors could have carried the film, but they couldn’t have done much better. Song Kang-ho as the ingenious, drugged out Namgoong shows that he’s still one of the best global actors. Snowpiercer owes a debt to Metropolis, specifically in Wilford’s willingness to “feed” his train small children to keep it running, although there is evidence that once they outgrow their usefulness there are promotions to be had. Wilford justifies it all: it’s a small price to pay for the salvation of the human race. Curtis sees through it all and knows it’s just another case of the rich exploiting and stereotyping the poor. But (SPOILER) there’s a twist: Curtis engaged in the same behavior when he and other survivors first boarded the train and were relegated to the tail section. It makes his realization of the inner-workings of the train and his decision of whether or not to take leadership of it when Wilford offers it to him all the more effective. Like Edge of Tomorrow, I question Snowpiercer’s ending–and suspect American foul play–but it doesn’t distract from the most thrilling cinematic ride of the summer…and possibly the year. Snowpiercer (126 mins) is in limited release and is rated R for violence, language, and drug content.